To add recessed lighting to a room or an area of your home, you need to decide on the suitable recessed lighting layout. Recessed lighting layout should be based on the concept of lighting layering. There are three main lighting layers that represent three different needs for lighting in an area or a room, these lighting layers are General, Task, and Accent Lighting. Recessed lighting spacing is an important step when planning recessed lighting. After calculating how many recessed lights you need and settle down on the suitable recessed lighting layout. Now it is the time to correctly space recessed lights to eliminate brighter spots and dark areas. The right recessed lighting spacing enhances the lighting distribution in a room or space and improves the final view of the ceiling. Recessed lighting became a popular lighting source for kitchens in most new homes. Kitchen recessed lighting offers sleek and minimalist appearance, besides it is ideal for kitchen lighting requirements. Choosing the ideal kitchen recessed lighting layout improves the function level of any kitchen and helps kitchen tasks done comfortably. Here we will preview practical examples for recessed lighting spacing and placement calculations based on recessed lighting spacing formulas. And will tell you how to check if the determined recessed lighting placement locations are ready for can lighting installation. LED kitchen lighting begins to be the most used type of lighting to light kitchen rooms. When designing kitchen lighting layout, you should take care with each area where tasks take place. 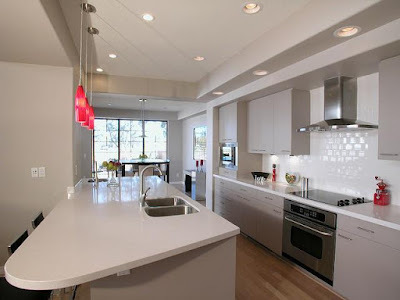 Besides the general lighting, which provides a uniform lighting layer for the kitchen room entire area, kitchen task lighting is very important to supply lighting requirements for areas like counter tops, the island, cabinets, the sink, and the cooker. Lighting designs are an excellent way to help you decide on the perfect recessed lighting layout you need. Lighting ideas absolutely can help you to create the proper lighting layout based on the area and the shape of your room or space. Here you’ll find examples of almost the entire home’s rooms including bedrooms, living rooms, kitchen, and bathrooms. If you plan to design the can light layout, you have to calculate the spacing and placement locations. Let’s review the recessed lighting ideas list. Recessed lighting placement plays an important role to get an effective recessed lighting design. To correctly place recessed lights you should follow the recessed lighting spacing formula which simply says the space between can lights and the wall should be half the calculated distance between can lights. Let’s go to calculate the placement for general, task, accent lighting layers and tell you some useful tips for wall wash lighting. 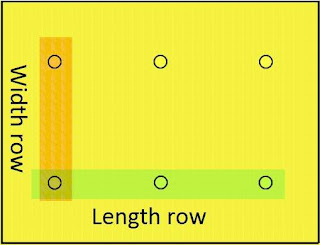 Recessed lighting placement calculations done after calculating how many recessed lights in the area or surface need, decide on a recessed lighting layout to know the number of recessed lights in each row of lights. Recessed lighting is a modern lighting option, which looks nice when used to light the bedrooms in modern homes. Here we are going to give you some principles and ideas to get the right bedroom recessed lighting layout when you follow the recessed lighting layout planning guide and to know how to layer recessed lighting with other lighting sources.